Self-service. It’s no longer a term used to describe simply accessing reports. The landscape has changed, and now we see the whole data world opened up to business users. It’s no longer just the domain of the analyst or IT. The definition of self-service has grown to capture data exploration, building reports and doing your own analytics. In theory, this is an excellent idea. IT resources are called on less, you don’t have to shell out to employ more analysts, and business users get their reports faster because they’re not in a queue for IT’s attention. But, there are downfalls. And many of these go unnoticed because of the beguiling promises of those selling the dream of self-service BI. They promise to fix your users’ headaches, but all they’re doing is offering an aspirin – it’s just symptom relief, not a cure. And one of the industry’s biggest lies is that self-service generates adoption. Recently, Yellowfin ran a German Roadshow hosting delegates across the spectrum of BI users. We surveyed a very small sample size of 33 users (so we can’t officially draw anything conclusive from the survey), but it uncovered some very interesting results that seem to contradict the promises often given when selling the idea of self-service. Here are some of the results of the survey. Notice the results of those questions? 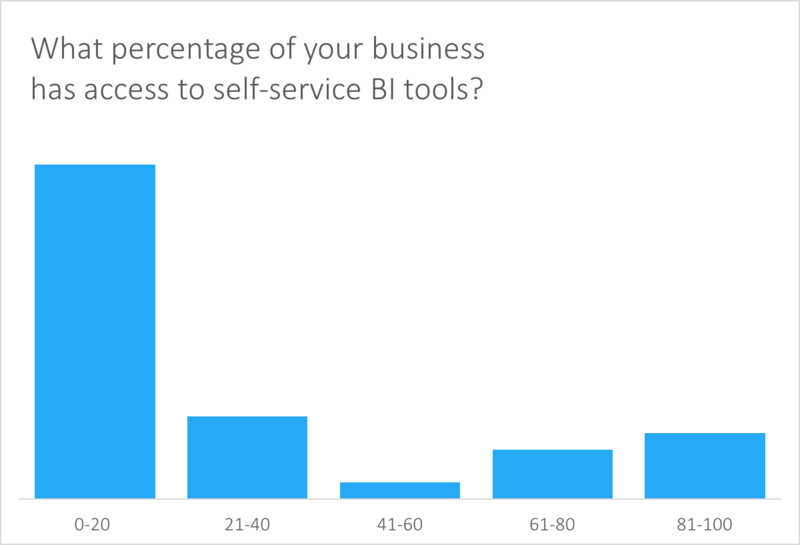 First, 61% of all the respondents say that less than 20% of their business users have access to self-service BI tools. That’s four out of five people without access to a self-service BI tool. 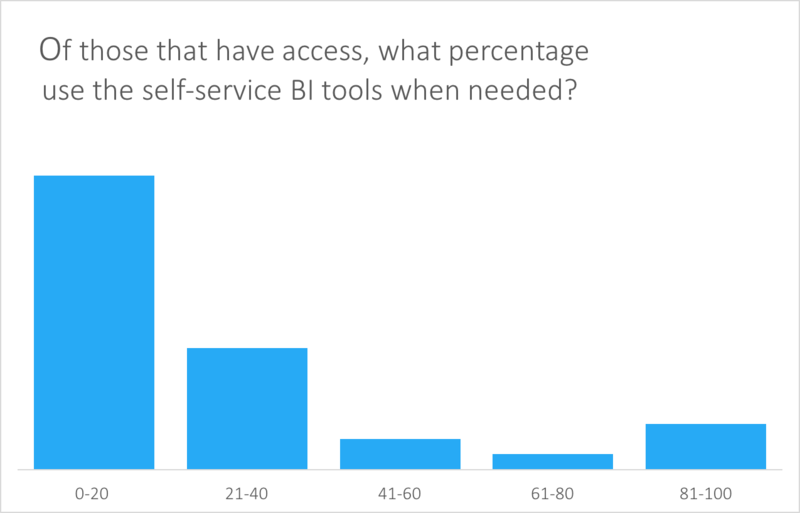 Then, 58% of the surveyed respondents said less than 20% of people who have access to self-service BI actually use the tool. That’s less than 4% of an organization! Even with a broader look, 82% of respondents said less than 40% of those with access used the tool – so even at best that’s still poor. This points to the big and ugly secret of self-service – adoption remains brutally low. Despite its perceived ease-of-use, self-service appears to not be catching on. Yes, this is a small survey. But BARC’s 2016 statistics of BI adoption, prove that the average adoption rate of BI is a pitiful 17%. Less than one in five people in the majority of the organizations surveyed by BARC (the biggest BI survey in the world) use BI. Self-service BI is not pervasive. There seems to be a bit of debate about what self-service means to people. But this survey shows that to most it means report creation (81% of respondents). But this is exactly what I would argue business users should not be doing. Allowing business users with little training to handle data and build reports brings in governance issues, which in turn produce data quality issues. 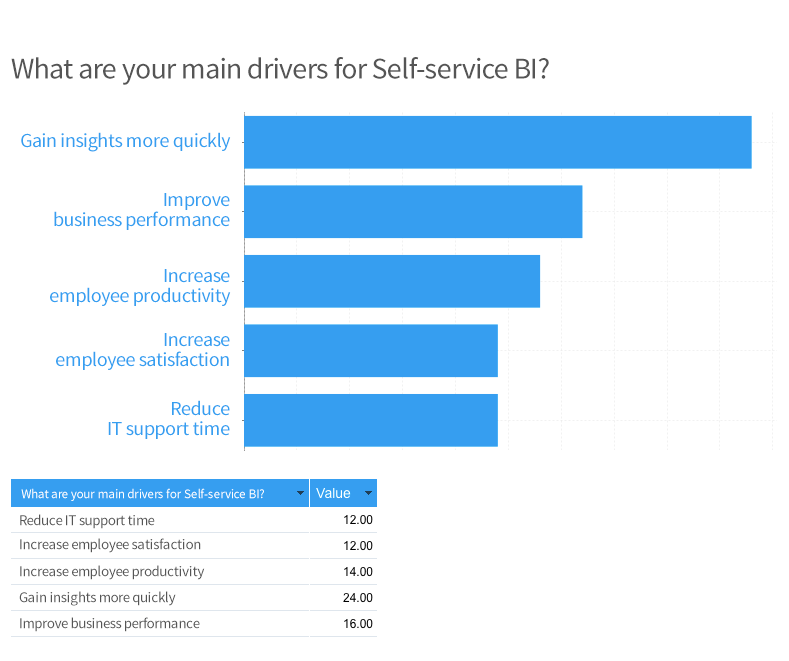 In the above question, 53% of respondents believe self-service BI will improve business performance. This is most likely because business users have often struggled with getting the reports they need when they need them. After being frustrated and going back to spreadsheets, it’s easy to believe that giving users more ownership of the data to create their own reports would bring faster results. It would seem to promise the enablement of a data-centred culture as users get what they want when they need it. But will you really improve overall business performance if your business users are not doing their day jobs? I don’t believe so. Business users might be capable of learning an analyst’s role, but it’s not their core job. If they find they’re spending too long creating BI reports and getting behind in their core jobs, they’ll soon give up on BI. This simply returns you to square one. They still aren’t getting the data they need fast enough. 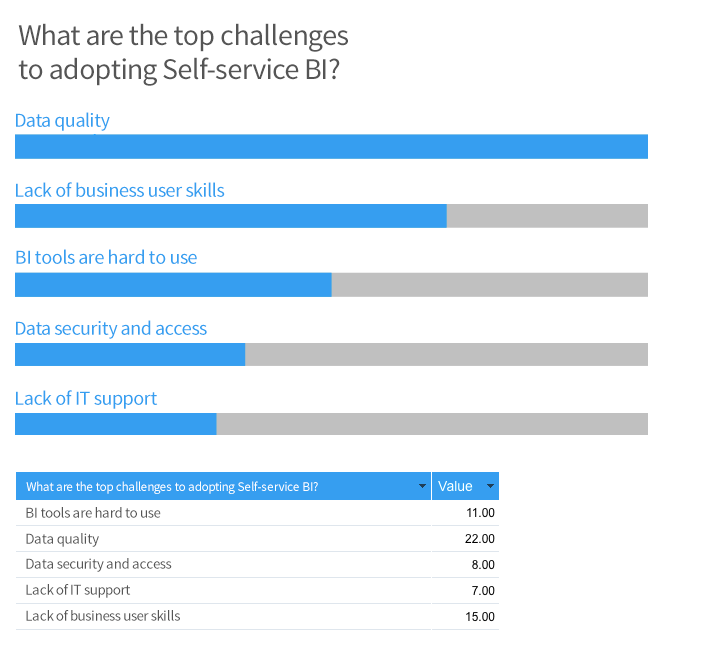 Data quality is the main challenge to adopting self-service BI (71%). This is no surprise to me. Without training and experience, how is a business user supposed to build accurate reports? How do they know which data sets to use and how best to join them to answer their questions in a report? Using the wrong data produces the wrong results. And that causes issues when business decisions are made based on erroneous reports. You don’t want to build your business decisions on reports cobbled together by business users. 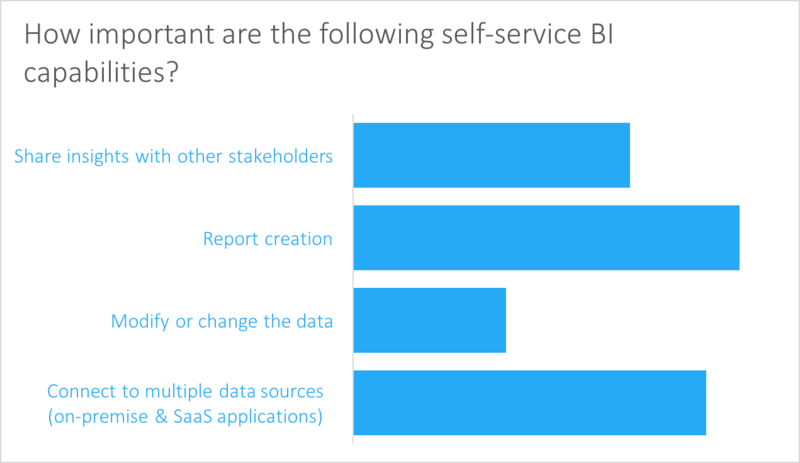 This points directly to the second main challenge to adopting self-service BI – the lack of business user skill (52%). The best BI solutions are intuitive. But being able to use a tool is quite different to knowing how to use and work with the data inside the tool. There are entire careers built around handling data – the analyst and data scientist are just two of many roles. Why specialist roles? Because it’s a specialist subject. In the same way that almost anybody can use the basics of Microsoft Excel, but you wouldn’t want just anybody creating the business financial reports used to make your expenditure decisions. You want an accountant. But all this points to the bigger issue of a lack of governance in self-service BI. 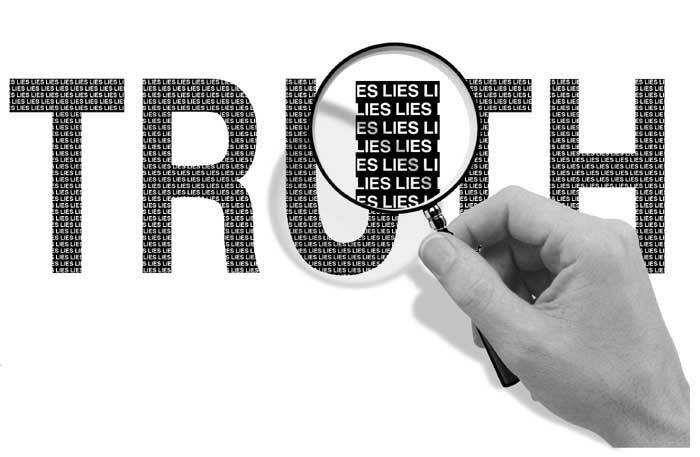 Without having a central source of truth, you can end up with endless iterations of the data. Would you agree? Or disagree? I would love to hear about your own experience. Yellowfin have opened their survey to you too so you can have your say.